Battle presented by Ruin Your Day. From the Ruin Your Day Exclusive Battles event. Battle presented by Chalked Out. From the Out & About: Season 1 event. 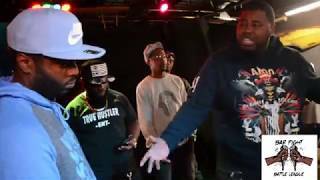 Battle presented by Ultimate Rap League. From the Summer Madness 8 event. 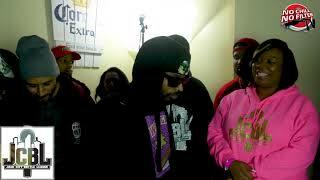 Battle presented by Jack City Battle League. From the Love Will Get You Killed event. Battle presented by Bar Fight Battle League. From the Midwest Finest event. Battle presented by SkyTier Northwest. From the Black Tie Affair event. Battle presented by No Coast. From the Valentine's Day Massacre 6 event. 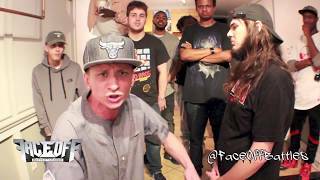 Battle presented by Universal Battle Realm. From the UBR 6 event. 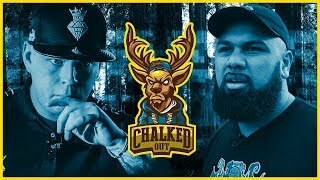 King of the Dot has announced The Saurus vs. Caustic as the first battle for Day 2 of their upcoming Town Bidness event in Oakland, California. 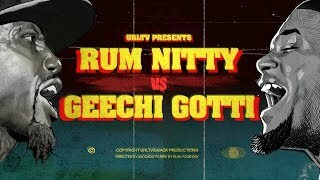 King of the Dot has announced Bigg K vs. Rum Nitty as the 4th battle for their upcoming Town Bidness battle event in Oakland, California. The event will take place on May 18th. King of the Dot has announced Ill Will vs. 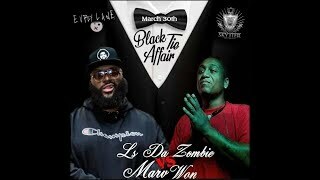 Pass as the 3rd battle for their upcoming Town Bidness event in Oakland, California. The event will take place on May 18th. 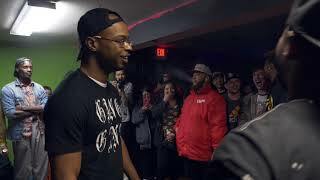 King of the Dot has announced Head ICE vs. Geechi Gotti for their upcoming Town Bidness event in Oakland California on May 18th. Already announced for the event is Illmaculate vs. B Magic. 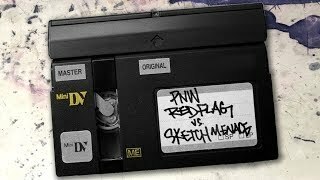 MP & Vokab's first single from Nineteen Ninety Won-NOD-featuring Skyzoo produced by deadBeat with scratches by DJ Pompey. Album coming soon! VerseTracker would like to give an incredibly big THANK YOU to everyone who has helped support us over the years as well as a special thank you to everyone who has contributed to the GoFundMe Campaign to get our site back up and running. This is 1 of the most important sites to the culture, shot out to Ryan !!! Love Stats. 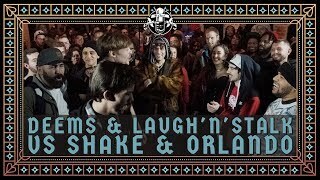 Love Battle Rap - You guys are great. Been a versetracker fans for years and, now that I'm investing myself back into battling, I figure I should support! Versetracker serves a very important role in the battle culture... hope to see it continue to serve that vital function. I'd like this $10 to go towards adding 500,000 views to Joe Powers' count. Good site. Hope for the best. Love the work you do. Use this site everyday!